In addition to their Standard Course, students may elect to follow one of the Supplementary Courses, which are scheduled based on interest and enrollment. 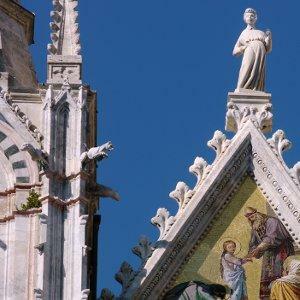 The Art History Supplementary Course is a three-session overview of Sienese architecture, sculpture and painting. Each session is divided into two parts: part I in the classroom in which students are introduced to the history and theory behind the art, and part II in the field, in which students walk to and examine examples of the works they have been discussing. In this course, students will come to recognize some of the recurring styles and themes of Sienese art while they learn how and why Siena developed as an important artistic center in the Late Gothic and Early Renaissance periods. 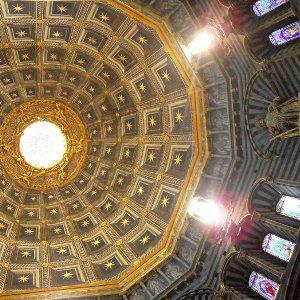 The Early Renaissence in Siena! Session III: focuses on the painters Francesco di Giorgio Martini, Domenico di Bartolo and Lorenzo di Pietro (called Il Vecchietta). For curious students and foodies interested in how the experts prepare a perfect Tuscan meal, la Scuola Leonardo da Vinci offers the course Cooking with the Chefs. 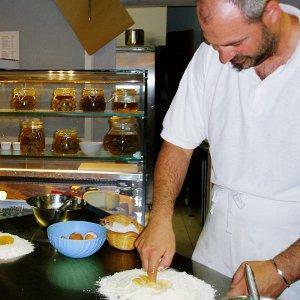 The course is divided into three sessions, each of which is given in conjunction with a different chef from a well-known, well-regarded and traditional restaurant in Siena. In each session the chef will provide culinary history and reveal a few secrets as he/she explains how to prepare ancient recipes using modern techniques and healthy ingredients. Students will work collaboratively to create --- and then enjoy --- their meal.